Imagine that your family has owned the same piece of land for hundreds, and hundreds of years. It’s been passed down, generation to generation, for as long as anyone can remember, and has given your family a healthy living through hunting and fishing all the while. Now imagine how you would feel if after all these hundreds of years, someone else came up to you and said the land was now theirs, and you had to leave everything you have known your entire life. Now you might begin to understand the anger of many Mi’kmaw living in Atlantic Canada, who are simply trying to get back a fraction of what they believe is rightfully theirs. Peace and Friendship Treaties signed in 1760-61 by the Mi’kmaw people and the British government clearly stated they would live peacefully and trade with only the British, having nothing to do with their enemies. This was a legally binding document, as it was signed by then Lieutenant-Governor Belcher, and all the different Mi’kmaw sakama. They did not, however, give up their rights to manage their own fishery to the British. In these negotiations, the sakama were treated as dignitaries from another state, not as savages to be subjugated, and in short were dealt with the utmost respect and consideration. Despite this, the British and subsequently Canadian governments have attempted to marginalize, and assimilate the Mi’kmaw people through initiatives such as residential schooling. 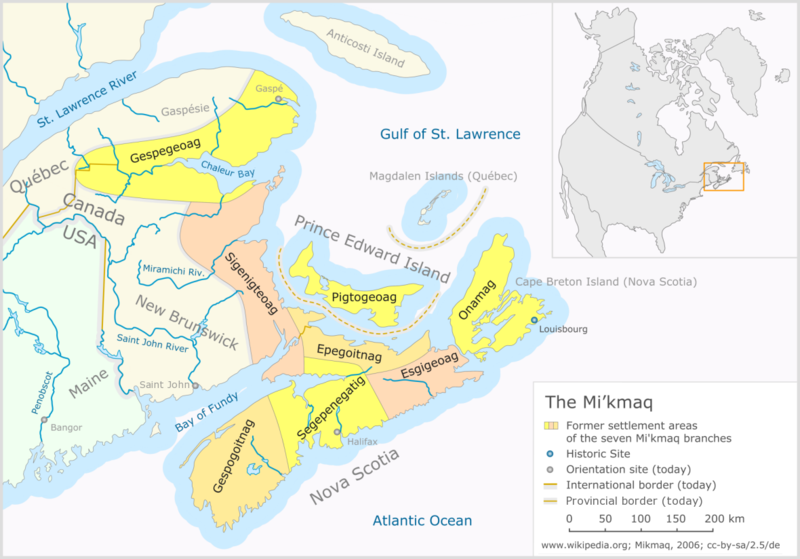 Despite having negotiated rights under the 1760/61 treaties, the Mi’kmaw people have had their hunting, fishing, and basic human rights systematically taken away from them over time through pieces of legislation such as the Indian Act. Under this act, from 1876 to 1985, women were not free to marry non-status aboriginals, as they would then have their status, and all rights, taken away from them. They were not treated as an independent nation, they were treated as non-citizens of a country they had no part in founding. Land claims and other court cases centring around hunting and fishing rights raise the question of an inherent right to the land and its game by aboriginal peoples. In the 1980s the Mi’kmaq Grand Council decided to use the Peace and Friendship treaties as the sole basis for their claims against the different levels of government . In 1999, the Supreme Court of Canada made a landmark decision for treaty rights in the case of R. v. Donald Marshall Jr. Marshall argued that the 1760s treaties guaranteed his right to fish commercially, and that the Canadian government was bound by law to honour the British treaties. The ruling brought about a dramatic change to fishing rights in the Maritimes, and is considered a major turning point in the rights of indigenous peoples in Canada. 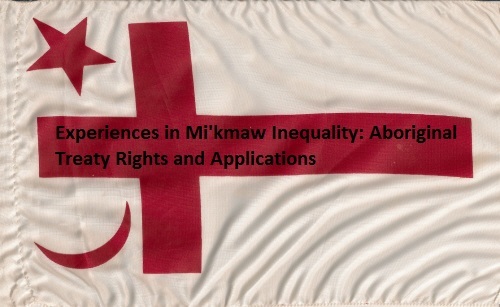 While Marshall achieved a major victory, the inequality experienced by the Mi’kmaw people is still a long way from being alleviated, and they may never actually receive their rightful share. Aboriginal: Any person whose ancestors lived there prior to European settlement. Indian Act: The enactment of the constitutional power of the federal government to exclusive authority over all “Indians and Lands Reserved for Indians”. Residential School System: A schooling system implemented by the federal government to separate aboriginal children from their families in an effort to force their assimilation into Canadian society. Alan C. Cairns. Citizens Plus: Aboriginal Peoples and the Canadian State. Vancouver: UBC Press, 2000. Ken Coates. “Breathing New Life into Treaties: History, Politics, the Law, and Aboriginal Grievances in Canada’s Maritime Provinces.” Agricultural History 77.2 (2003): 333. Maura Hanrahan. 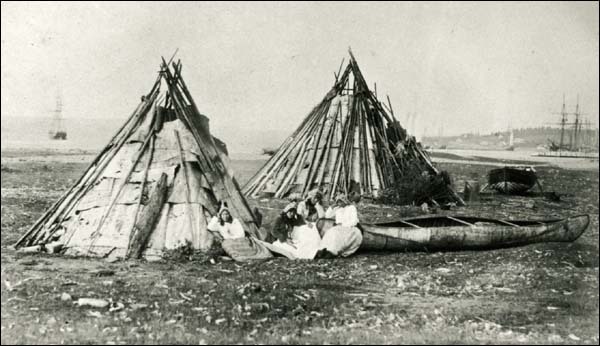 “Resisting Colonialism in Nova Scotia: The Kesukwitk Mi’Kmaq, Entralization, and Residential Schooling.” Native Studies Review 17.1 (2008): 25-44. Ladner, Kiera L. “Up the Creek: Fishing for a New Constitutional Order.” Canadian Journal of Political Science 38.4 (2005): 923-53. Andrew Parnaby. “The Cultural Economy of Survival: The Mi’Kmaq of Cape Breton in the Mid-19th Century.” Labour / Le Travail 61 (2008): 69-98. Stephen Patterson. “Eighteenth-Century Treaties: The Mi’Kmaq, Maliseet, and Passamaquoddy Experience.” Native Studies Review 18.1 (2009): 25-52. Wicken, William. Mi’kmaqTreaties on Trial: History, land and Donald Marshall Junior. Toronto: University of Toronto Press, 2002.